Typically, building a house takes months. Yet a San Franciso-based company managed to build one in just 24 hours. Located in Russia, the 400 square foot home was built by Apis Cor. 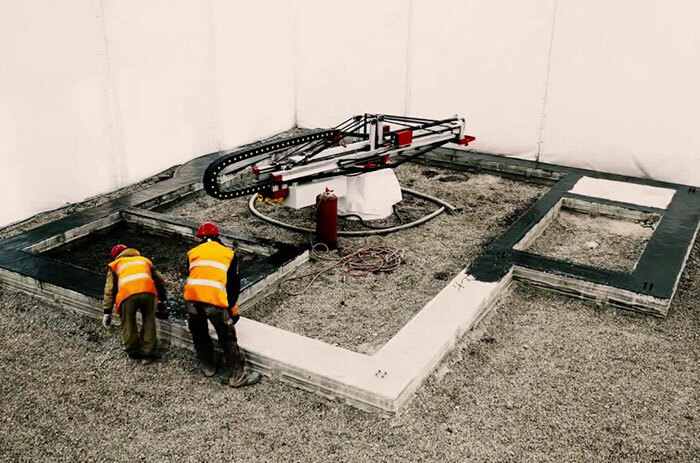 The company specializes in 3D printing, and thanks to their mobile construction 3D printer that is capable of printing buildings, they managed to print a whole house in just 24 hours! Despite the printer only needing a day to build the home from a concrete mixture, it is predicted to last up to 175 years… But that’s not even the best part. 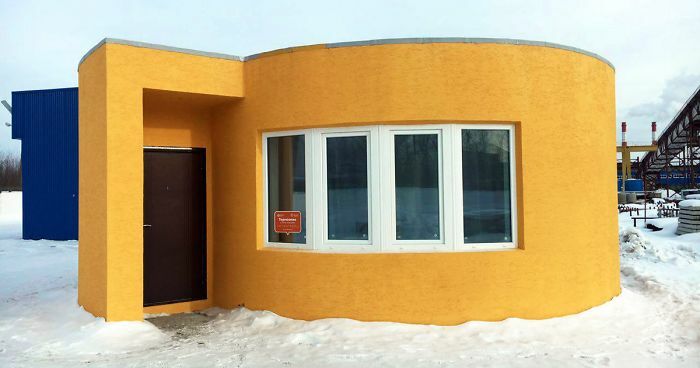 The price of this modern 3D printed house? Just over $10,000! You can read more about it on the Apis Cor website. 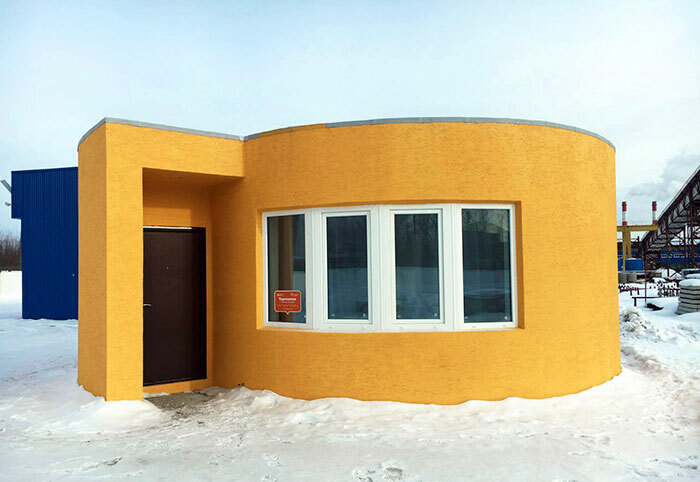 The price of this modern 3D printed house? Yes and no. They're limited by the printing mechanism which in this case swings about a pivot. So the machine can only print a certain distance from its pivot. Also, should anyone wish for sloping walls, the walls could incline inward or outward to a (probably very slight) degree. Mostly, though, this device is going to be able to create small round abodes. You can easily move the device depending on the project. Plus, it doesn't have to be printed in a day. I'm not sure who is insisting. As an American, I hate using the Imperial System. It makes little sense and, as you stated, isn't what the rest of the world uses. However, I don't know how the task of "switching over" would be possible. It would have to be a gradual, side-by-side process for many years until a new generation could just grow up with metric. We grow up with it because that's what is taught in schools. It isn't the people's choice. Thats what sort of happened in the UK, as a kid i was taught in Metric but my parents in Imperial. Now we have a weird multi system as both are now used for different things it's weird. 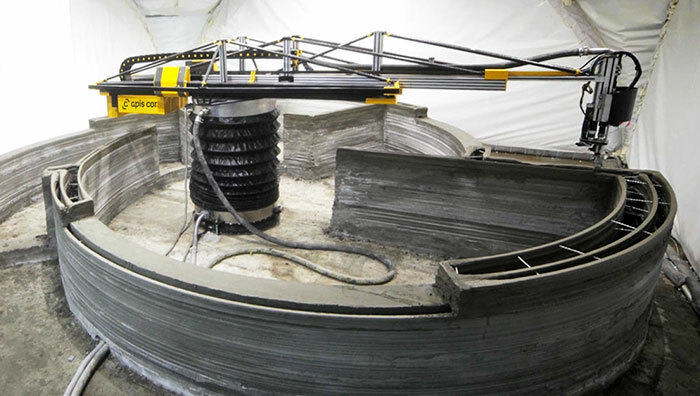 I find that anything that has to do with 3D printing of homes & bridges fascinating ! In China , a 3D 4300 sq. ft., two story, home was completed in 45 days. https://3dprint.com/138664/huashang-tengda-3d-print-house/ It was a dichotomy to me that I just finished a book on the Oakridge Manhattan Delete repeated word & prefab homes were put together in 30 minutes (200 a day)& that was in 1942.